Friday was the worst of days. We lost two of our beautiful girls in very different but equally heart-breaking circumstances. 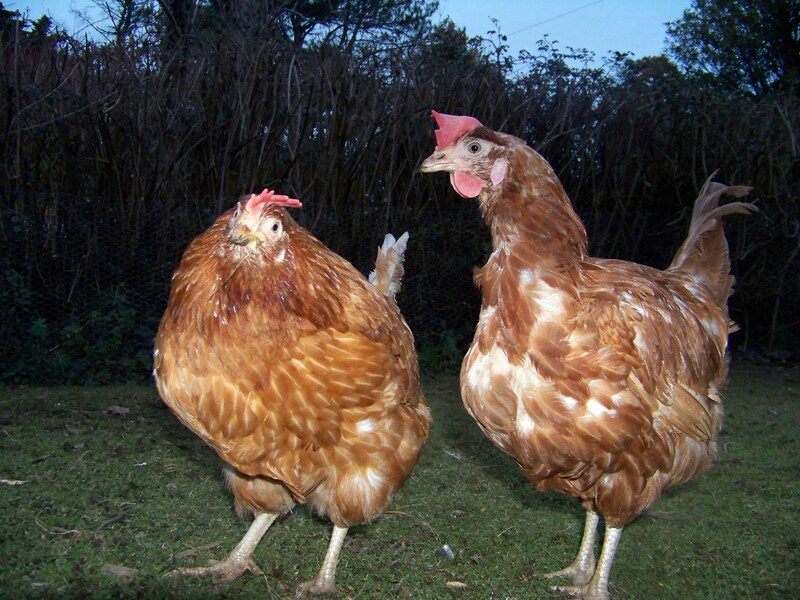 As each girl is so precious and deserves equal love and remembrance, first I shall write about Dolly Chicken and the following day about Brigit Chicken – both now angels flying high and free in Henven. I met Dolly and her sister Daisy on my first hen rescue day. It is hard to pick out special girls in a barn full of beautiful girls but first I fell over (literally – she has a thing for feet) Daisy and then her equally scrawny and featherless wingwoman Dolly. Both girls came home with me to join the B and C girls. They had their own coop to start with but were integrated fairly quickly. 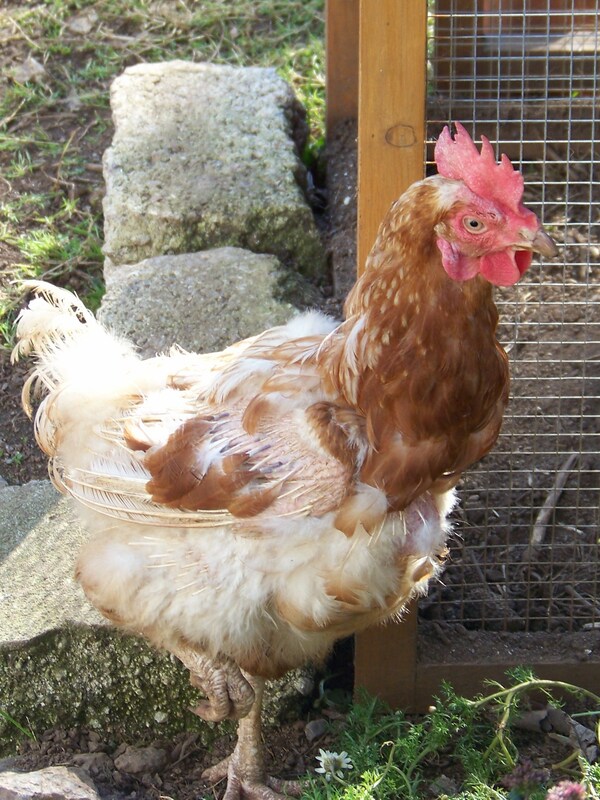 Dolly (named after Gary’s great-aunt Dorothy and therefore very precious) was the scrawniest girl I have ever met, she looked pitiful but was such a sweet girl and became bottom hen without fuss. I think she was just grateful to be free. 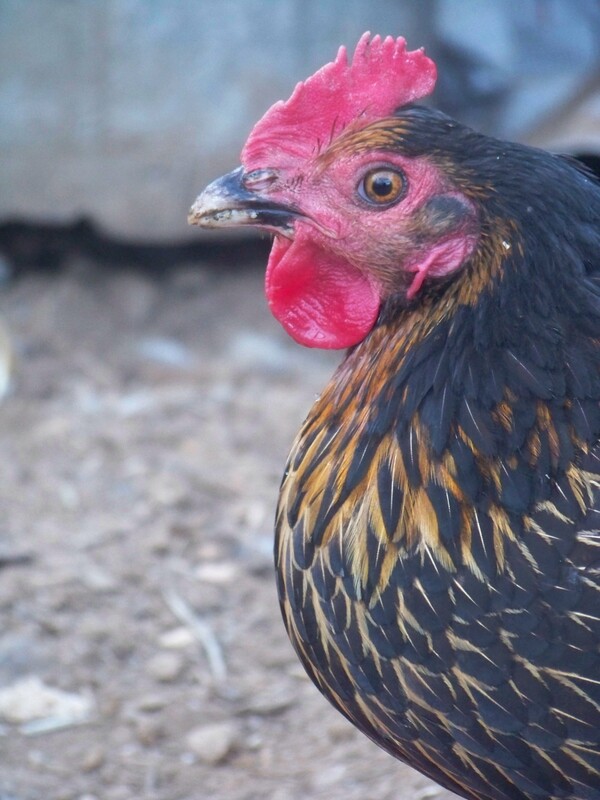 She fitted in well with the other hens, Bunty Goodchicken took her under her gentle wings and tucked her and Daisy up in the big nest box between herself and chum CocoChanel every night. She was a great ambassador, raising awareness for her caged sisters. 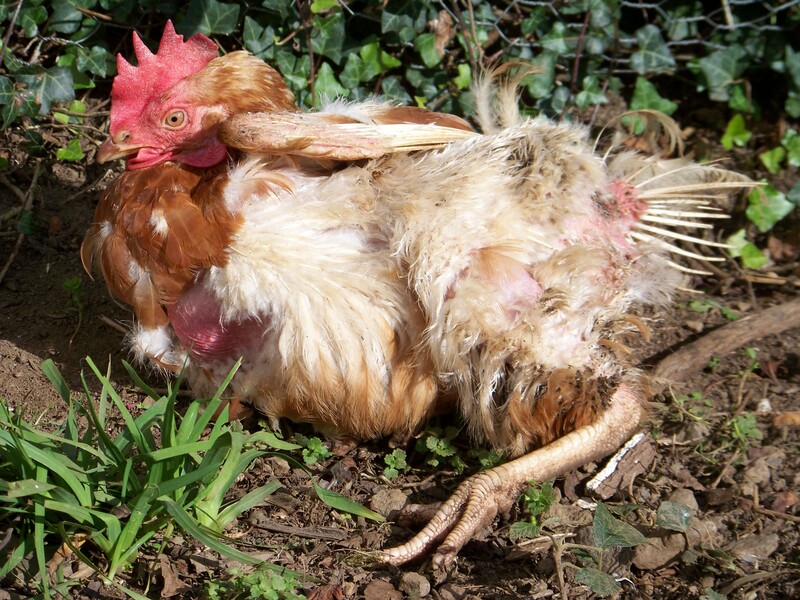 Her ‘before’ picture was used in posters advertising the massive hen rehoming in Cornwall before Xmas. 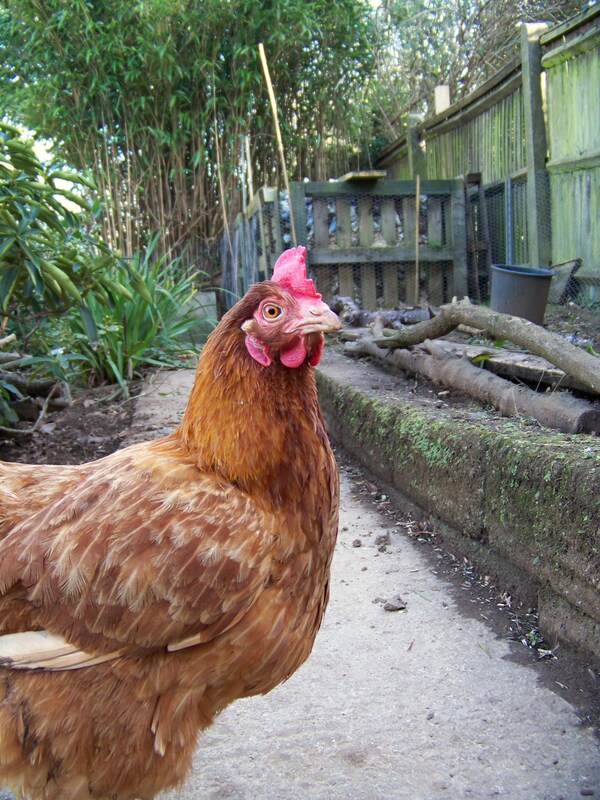 She inspired hundreds of people to rehome battery hens, I am so very proud of her. From the start though, Dolly had egg problems. Every other day she became quite unwell trying to lay an egg. Usually two soft shelled eggs came out in quick succession. She had warm baths and Zolcal D to try and ease the eggs through – holding her damp and frail, featherless body wrapped up in a warm towel was one of life’s gentle moments. The difference was nothing short of amazing. If ever you needed visual proof of the demands on a hen’s body egg laying causes then comparing the egg laying Daisy with egg free Dolly would be it. Daisy remained scrawny and featherless whilst Dolly grew a magnificent set of feathers almost overnight and became the picture of health. I have never seen such fluffy knickers, she was truly stunning. She was in such good health though she took it upon herself to terrorise the new E girls and was a complete minx! It saddens me greatly that in the last month I spent much of my time telling her off for picking on the new girls. Had I known she was not long for this world I would have picked her up and never let her go. She was however a very happy girl almost to the end. Always first across the garden to greet me. Always first to demand treats. We had a little routine Dol and I, dating back to her first days in with the Big Girls…all the big girls went to bed in Henderlay, lured in by corn. 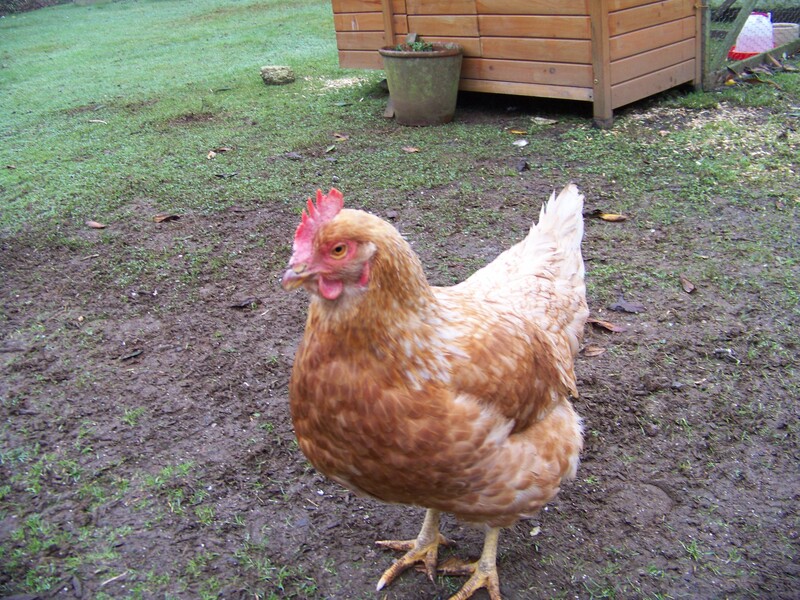 Dol used to take herself off to bed almost straight away so I used to pop a couple of worms through the back door of the coop just for her. This carried on even when she was confident with the big girls. It was our secret so she knew she was still my Special Girl. On Thursday Dolly looked a little unwell; on closer inspection I found the remains of a soft shell in her vent which I removed. She took herself off to bed and the next morning I found her dead. Just like that. No real warning signs. Nothing. The shock makes it worse I think. What did I miss? What could I have done differently? But as my lovely friend Diana says, it is hard to mend the scars inside which we don’t see. Maybe Dolly was suffering from her time in the cage and maybe her implant had just put off the inevitable. 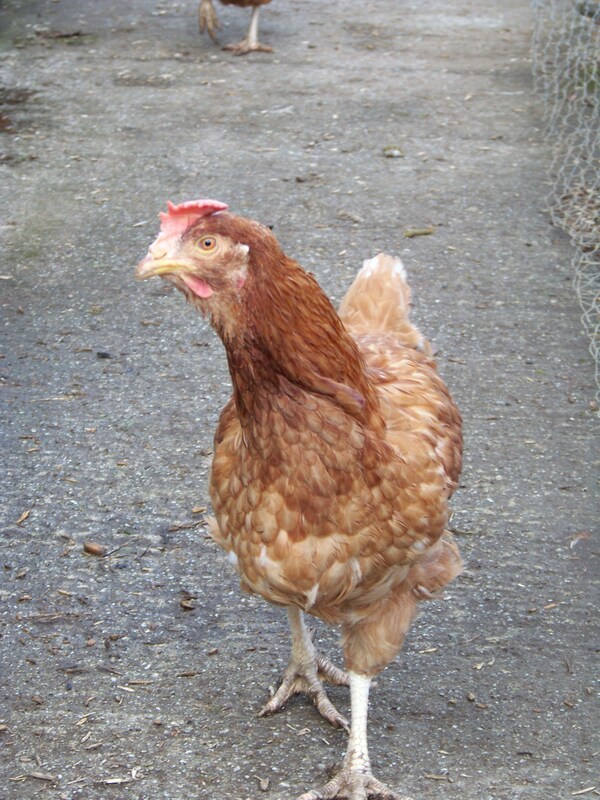 It did however give her a wonderful life as a free range girl and I hope she knew just how very much we loved her. Fly high and free little Dolly Daydream. Seven months with you was nowhere near enough darling girl.